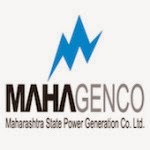 MAHAGENCO Recruitment 2014 for 625 Executive Engineer, Technician Posts. Maharashtra State Power Generation Company Limited Recruitment for 625 Executive Engineer, Technician Grade III Jobs. MAHAGENCO has been released a notification for 625 jobs or vacancies. Interested and eligible candidates can apply online from 4th September 2014 to 25th September 2014 for Executive Engineer Jobs and Apply online on or before 10th September 2014 for Technician Grade III Jobs. Please read the below provided information such as educational qualification, application fees, selection procedure etc. carefully before applying for this job. Interested and Eligible candidates may apply online through the website http://www.mahagenco.in/ from 04-09-2014 to 25-09-2014. Check notification link for more details. ITI Course, Training Certificate from National Council for Training in the Vocational Trades in the trades of Electrician/ Wireman/ Machinist/ Fitter/ Electronics/ Electronics Mechanic/ Information Technology & Electronics System Maintenance. 18 – 33 Years as on 10-09-2014. Check below notification for age relaxation. Candidates will be selected based on their performance in online written test. Interested and Eligible candidates can apply online through the website www.mahagenco.in on or before 10-09-2014.